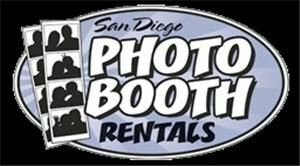 Let San Diego Photo Booth Rentals put the "FUN" into your next event. We cater to weddings, bar/bat mitzvahs, sweet 16's, birthdays, corporate events, school functions or basically any event where you could use some "good ol fashioned, fun"!! Our booths are manufactured to look very similar to the old nostalgic booths of the past but they use the very latest in digital technology. Every booth is collapsible so we are not limited to where we can go. Last but not least, all of our booths are easy to use. Get in, press the button, smile and say fun!!! !